Sometimes anodized aluminum can be sweet. Other times it can be a bit much. For me I like the look of bare aluminum, it tends to match any color wheels or body you might have. 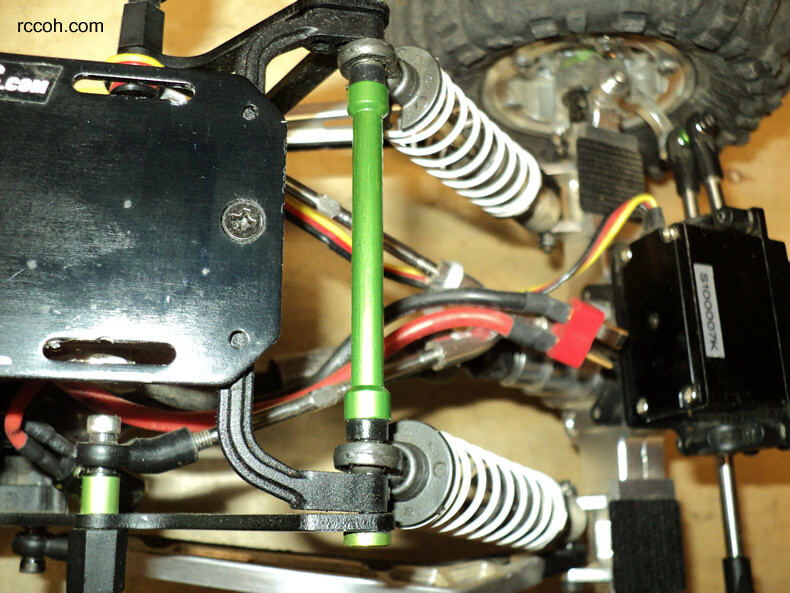 HPI is known for their purple and more recently orange and Axial is known for their green. Today I will be removing the anodizing from some green parts of my AX10. There are only a couple left, so I decided to remove the rest. There is the oven cleaner method that takes some elbow grease and stinks. 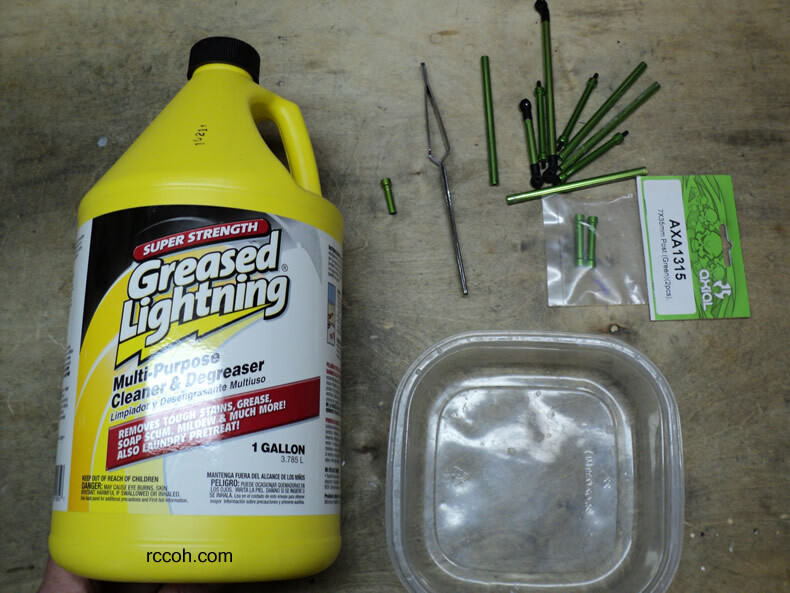 The other way is using a product called Greased Lightning. Dipping the pieces in the cleaner will remove the anodizing quickly! How long this will take will depend on how thick the anodization is. It can take 2 to 10 minutes. Just make sure you agitate the parts every couple of minutes or so.